The last day of March, so time for the next Canvas Print. 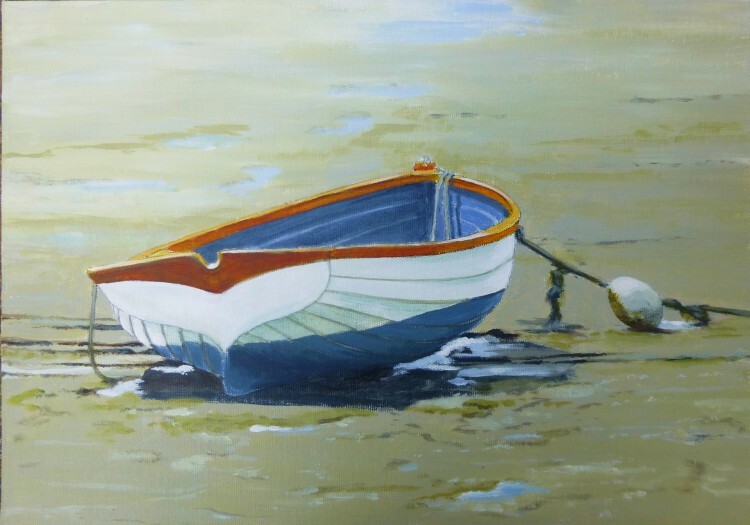 This one, ‘Waiting for the Tide’, is a painting of a Heybridge Basin dinghy, caught when the Blackwater was far out! As usual, it is in a limited edition of just six canvases, each one signed, with its edition number on the reverse, and mounted onto a sturdy wooden frame, ready to hang. They are available to purchase on the ‘Canvas Prints’ page, £25.00 including postage and packing to any UK mainland address. The original painting from which this canvas print is produced was sold last week at the Geedon Gallery’s Spring Show – which is still on! Look a few posts back for all the details. ← Only a month to go!